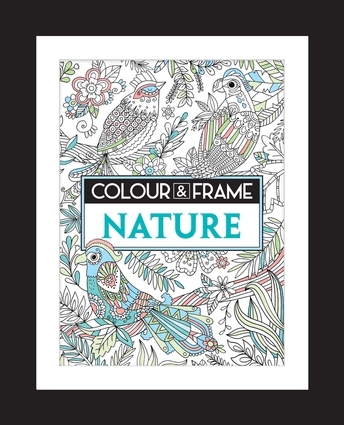 Colour and Frame: Nature is the perfect gift for those who love coloring, and especially those who love to display their hard work, as each page can be easily removed from the book. This book comes with a free high-quality reusable black frame, making it easy to show off your creative coloring. Featuring more than 30 intricately beautiful black-and-white illustrations of fish, birds, mammals, trees, plants, and flowers to be colored in, the frame slides open so artwork can be continually updated, to show off your most up-to-date masterpieces. Felicity French studied illustration at the Arts University College Bournemouth. She has since pursued a freelance career illustrating children's books and creating greeting card designs.